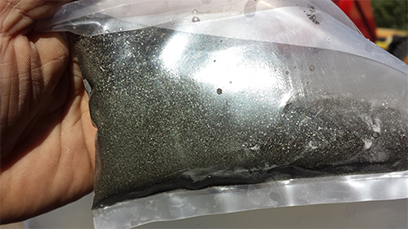 Vancouver, British Columbia – July 5, 2018 – GGX Gold Corp. (TSXV: GGX), (OTCQB: GGXXF),(FRA: 3SR2) (the “Company” or “GGX”) is pleased to announce the successful extraction and processing of a bulk sample from the Everest gold bearing vein at the Gold Drop Gold Property. The Everest vein is located in the Gold Drop Southwest Zone. The sampling was designed to identify the style of mineralization of the Everest vein and determine whether a gold table could be used as a separation tool for concentrating the vein hosted mineralization. The test used random vein material from the Everest vein. The sample was collected from surface vein material in the area of the 2018 drilling program. The material was crushed using jaw-rolls crushers and screened to 20 (0.90 mm) mesh. The material from the Everest vein was run through the crusher twice. 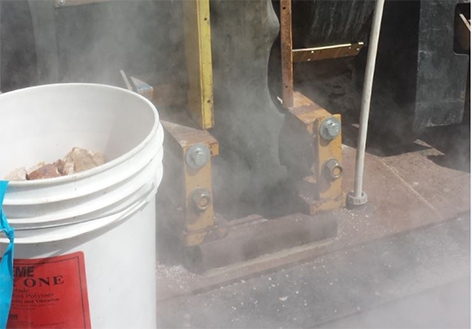 The crushed, screened and weighed material was fed through gold shaker table. The samples were collected from the discharges and shipped to Vancouver ALS Canada laboratory for Gold, Silver and Multi-element analysis. The table, buckets and crushers were cleaned before and between sampling. The results of the test are displayed in the following table. The values obtained were used to calculate the gold content of the 18.05 kg sample to be 20.51 grams per tonne gold. Since the entire pail of tailings was not dried and weight, the total tailings weight is assumed to be initial crush minus the concentrates and midlings. The bulk sample test shows successful concentration of vein minerals using the gold shaker table technique. 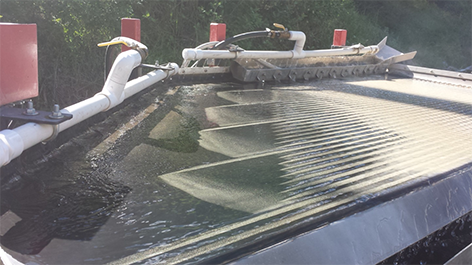 The gold shaker table requires continuous feed to operate properly and therefore the riffles had to be cleared. During the clean up some minor cross contamination between the midlings and tailings may have occurred. The gold found in tailings may be explained by the finesse of the gold particle size. The gold table technique requires rigorous fine tuning to optimize the separation and capture of minerals. The company is pleased with these initial results. The company plans to test an iCON gravimetric concentrator and compare the recoveries to the gold shaker table results.